TRANSPORTATION SECURITY – Protection Management, LLC. 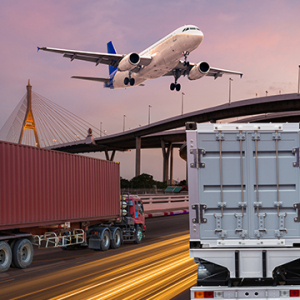 Protection Management, LLC has extensive experience in evaluating and managing several facets of security services for the transportation industry. We have worked with clients to evaluate and assess their current security and loss prevention measures and mitigation strategies. 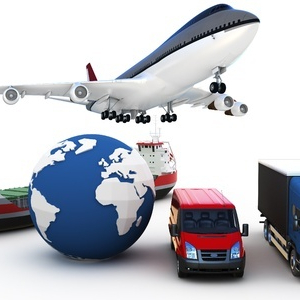 We provide expert consultations to organizations engaged in the transportation of people or freight. Our President/CEO John M. White, CPP, CHPA is Board Certified in Security Management as a Certified Protection Professional (CPP). He has also served in the United Stated military where he was responsible for security services in the U.S. and on foreign soil; he is an honorably retired police officer; and he has managed corporate security programs. Mr. White is a recognized leader in security management, planning and consulting profession. He is an often requested speaker and presenter at regional and national security conferences. He brings a commonsense and conservative approach to security projects, which often identify potential efficiencies versus making high-cost recommendations like other security consultants. Organizations engaged in transportation services have a duty to develop operational security strategies which include loss prevention, security policies, security procedures/protocols, security training, as well as other industry accepted security methodologies and best practices. Security has always been a significant factor of the transportation commerce, but this consideration has substantially increased over the last decade. We must also realize and plan for the fact that the threats to transportation services come from both inside and outside of the organization. Transportation services are on the list of possible terrorist targets, as we witnessed on September 11th 2001 when terrorists used commercial airlines to attack the United States, and now more than ever security of mass transportation services has become critical in many parts of our world. Security at airports and train stations has had to be increased due to threats and identified vulnerabilities. The troubling part is that sometimes a security risk assessment is not completed until such time that an event has occurred and either someone was killed or seriously injured. However, at that point a business is responding to an event versus preventing it. Once an incident happens “security experts” will all be talking on the 24 hour news channels about the incident, and lawyers will be planning their cases, and yet in many cases it may have been preventable had a security risk assessment been conducted early on. Conducting a security risk assessment is a critical step in identifying, managing, and mitigating security risks and is a proactive step to avoid litigation for negligence claims.